Warm up your taste buds for an exotic culinary adventure to Vietnam. The organic ingredients from the local markets, the aroma of the finished dishes and customs in between fuse into remarkable sensory experiences. The trip starts in Ho Chi Minh City with a special chef led touring a colonial market and a hands-on cooking class in a traditional Vietnamese home. Continue to South Vietnam and participate in tree planting, visit an herb village and sample local delicacies such as Tam Huu. 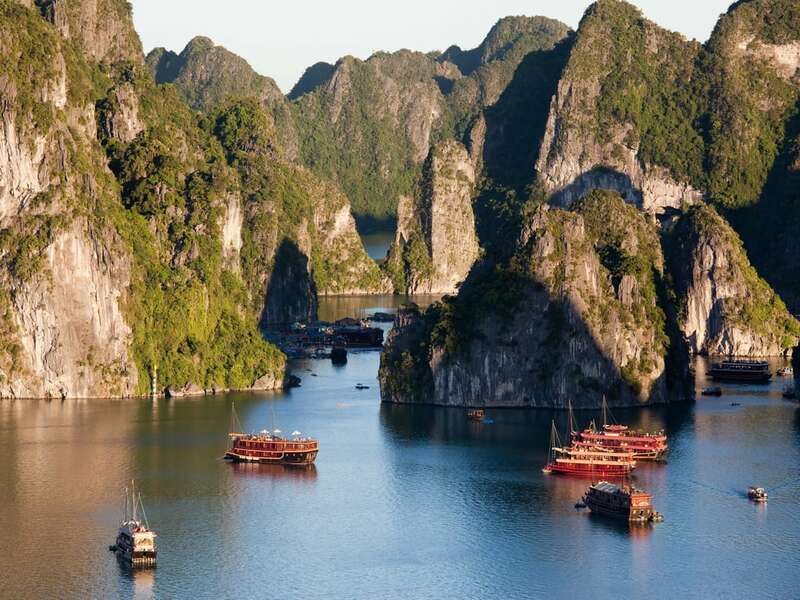 A vibrant ending in Hanoi and sail through the calm waters of Halong Bay. See warm smiles as you arrive and transfer to your hotel in city center. Your culinary discovery of Vietnam begins with a local chef leading you through a local market and shop for special ingredients. You will be welcomed to the local chef’s home for a hands on demonstration to enrich you with the secrets of the diversity of the Vietnamese cuisine. 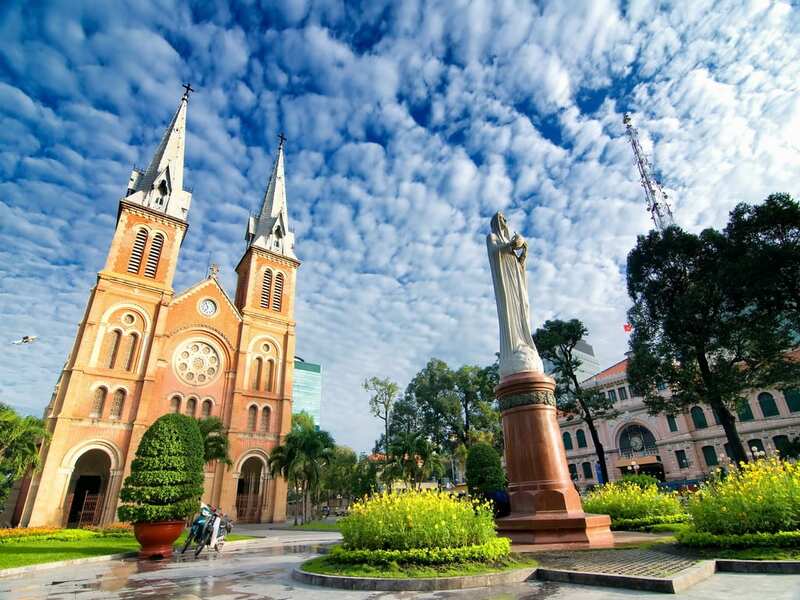 After indulging in your creations, take an afternoon tour of Ho Chi Minh City discovering the highlights include the Reunification Palace (photo stop), the Notre Dame Cathedral, the Central Post Office, Chinatown, the Binh Tay Market and either the Thien Hau Temple or the Quan Am Pagoda. End your day with a local style restaurant and one of the city’s most popular eateries. After breakfast at the hotel, depart for Mekong Delta. Upon arrival in My Tho, embark on a boat cruise along the river and take a short walk to a handicraft workshop where products are made from coconut trees. Experience an exciting horse-drawn cart ride to visit a local house where you will enjoy tea and taste home grown fruits. Board a sampan and drift along the narrow, tree-lined canals for further exploration of the Mekong Delta. After lunch, visit a family-run business making coconut candy before returning to My Tho. 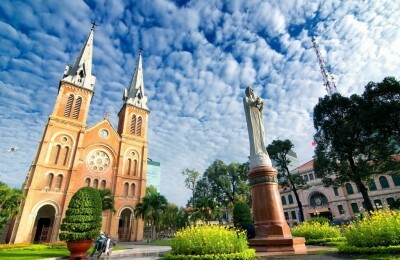 On the return trip to Ho Chi Minh City, visit the Vinh Trang Pagoda if time permits. Return to Ho Chi Minh City by the late afternoon. 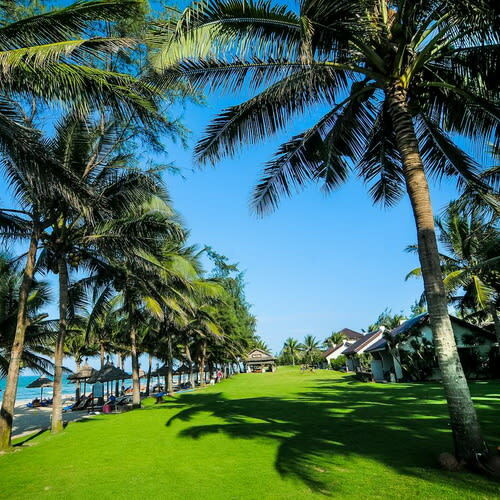 Take a short flight to Danang. Upon arrival, visit the Cham Museum in Da Nang which houses the world’s finest collection of Cham artworks before proceeding to Hoi An. In the afternoon, drive to Tra Que Village for a visit to a kindergarten and where you may join in tree-planting activities along with pupils. Later, continue to Tra Que Herb Village with stops along the way to visit old Japanese tombs. On arrival, watch the local water and tend to their gardens and also sample local delicacies such as Tam Huu spring rolls. Relax with a foot soak in an herbal solution before driving back to Hoi An. Experience the amazing sights, sounds and aromas of Hoi An market on a personally-guided tour with the chef of Red Bridge Restaurant. Interact with the stall holders and purchase fresh ingredients for the day’s meals. 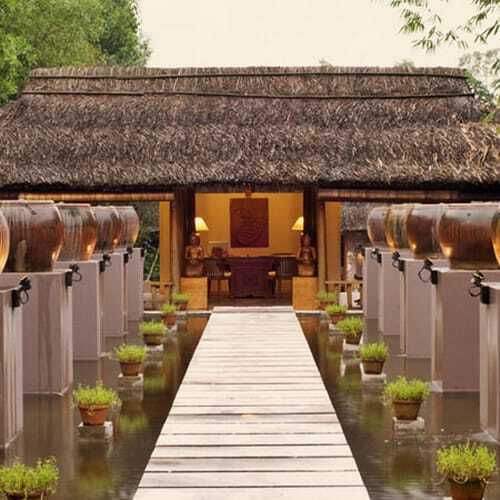 After completing the shopping, take a boat cruise along the Hoi An River to the Red Bridge Cooking School. Learn about Vietnamese herbs and spices, local ingredients, and the art of food decoration. The chef will demonstrate how to prepare some of Vietnam’s most delicious dishes. You will have the opportunity to learn how to create your own meals under the chef’s guidance. Enjoy a delicious home-cooked meal of Vietnamese and Hoi An specialties. In the afternoon, pay a visit to one of Hoi An’s famous lantern workshops and learn how to make one yourself before setting out on a walking tour to explore this World Heritage Site. 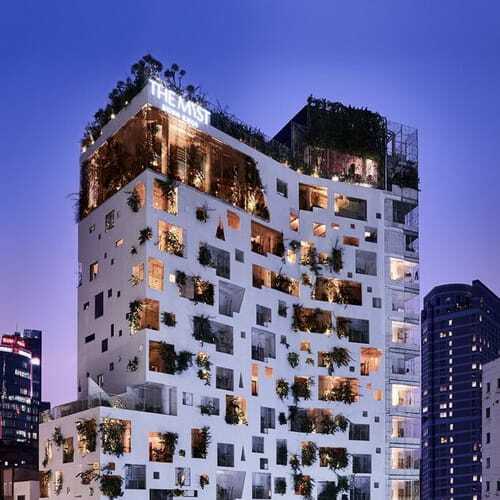 Highlights include an ancient merchant house, the Phuc Kien Assembly Hall, the 400-year-old Japanese Covered Bridge and the vibrant riverside market. Hoi An has excellent places to eat and drink. Street vendors, local restaurants scattered throughout town pack with their local specialties. “Dine-around” experience is the excellent way for extensive dining experience. In the evening, leave the hotel for the local restaurants to discover the delicious and authentic local dishes. 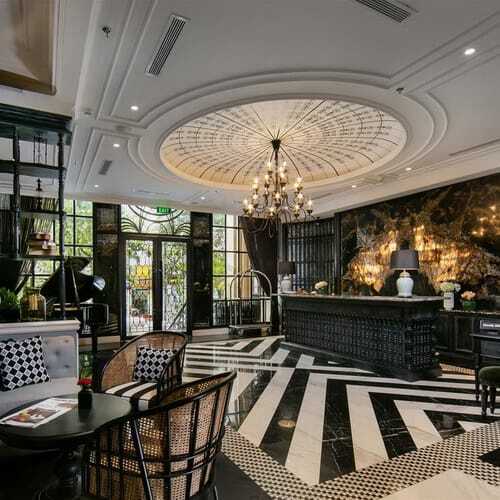 Enjoy the local snacks and its atmosphere before moving on for your main course at an European-style café with its terrace overlooking the Thu Bon River. 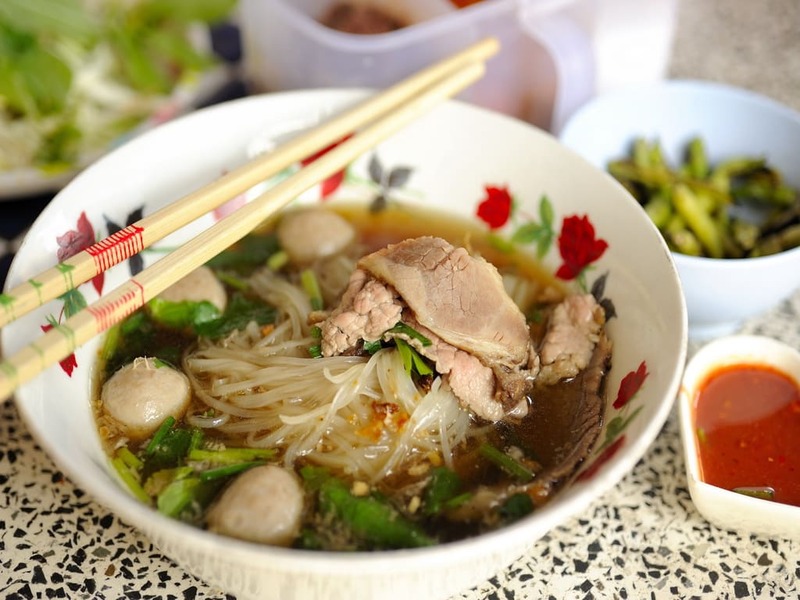 Warm up the taste buds to prepare for an epicurean journey through the cuisines and markets of Hoi An. Stroll through the wet market and take the opportunity to ask about those ingredients you may not recognize, navigate with your guide through the back streets and alleys of the town where you will taste local foods and learn in more depth about the history and intricacies of Vietnamese food. 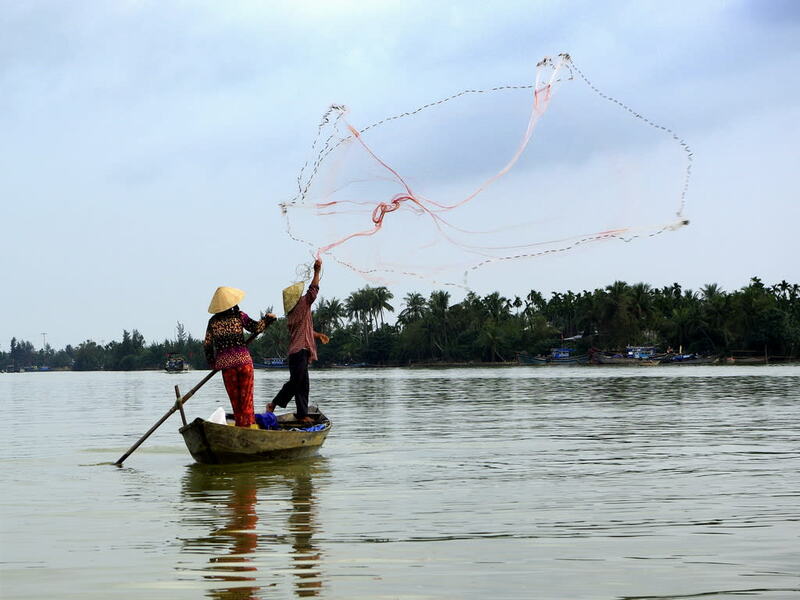 Depart for the ancient capital of Hue on a coastal drive via the Cloudy Pass and the photogenic village of Lang Co. Upon arrival, transfer to the hotel. In the evening, enjoy our dinner in a restaurant nestled in a orchid garden, renowned for its collection of rare “Bleu de Hue” ceramics and traditional Hue glassware. Enjoy traditional Hue dishes, considered by many to be Vietnam’s finest cuisine. 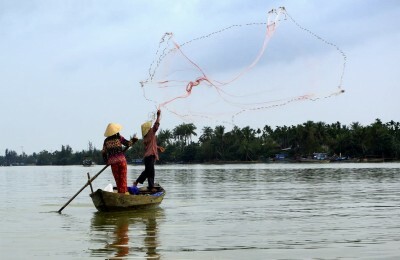 Take a morning boat cruise on the peaceful Perfume River to visit the Thien Mu Pagoda. Then, tour the magnificent Imperial Citadel. In afternoon, hop aboard a cyclo and take a trip through the historic Hue, the last imperial capital of Vietnam. We will explore the city’s charms as you ride through alleyways, taste local street foods, and learn the history of central Vietnamese cuisine. During our tour, we will make stops along the way to taste local Hue specialties such as Banh Khoai (Hue pancake), Bun Bo Hue (Hue beef vermicelli soup), Banh Loc (Tapioca Dumplings), Banh Beo (Steamed rice discs topped with shrimp), Ram It (Sticky rice dumplings on a fried dumpling), Banh Nam (Steamed flat rice dumplings), Banh Uot (Hue wet rice paper), Bun Thit Nuong (Grilled pork vermicelli), Nem Lui (Grilled chopped meat), Banh Chung (Square glutinous rice cake), Banh Bao (Steamed rice dumpling), Banh La Gai (Pinnate leaf cake), Cha (Meat pie). Me Xung (Sesame candy), Che (Sweet soup), Ca Phe Sua (Vietnamese coffee with condensed milk), Trai Cay (Season fruit). After breakfast, transfer to the airport for our flight to Hanoi. Upon arrival, transfer to the hotel. Tonight dine at La Verticale which is located in a charming villa which dates back to the 1930′s. The cuisine is considered as artistic, uncluttered at the same time extremely diverse in flavor. Today, our leisure concierge will take you on a food tasting tour. Start your morning with some tasty steamed rice pancakes along with a cup of locally brewed coffee. 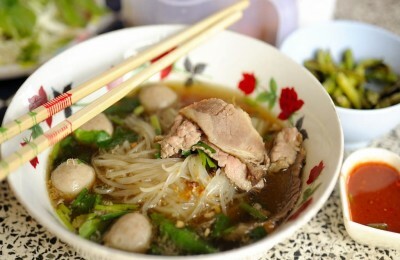 Then, take a short walk to Cho Hom market off Pho Hue Street, passing some more tempting food stands on the way. Explore Cho Hom market, one of the largest markets in Hanoi with its colorful arrays of fruit and vegetables, sweets, meats and elaborate temple offerings. Stop to try some fresh spring rolls and papaya salad before finishing off with a refreshing glass of che, a sweet snack prepared to your own taste. In the afternoon, take a Cooking Class at Hanoi Cooking Centre. Hanoi Cooking Centre is an address for you who want to learn about Vietnamese cooking. 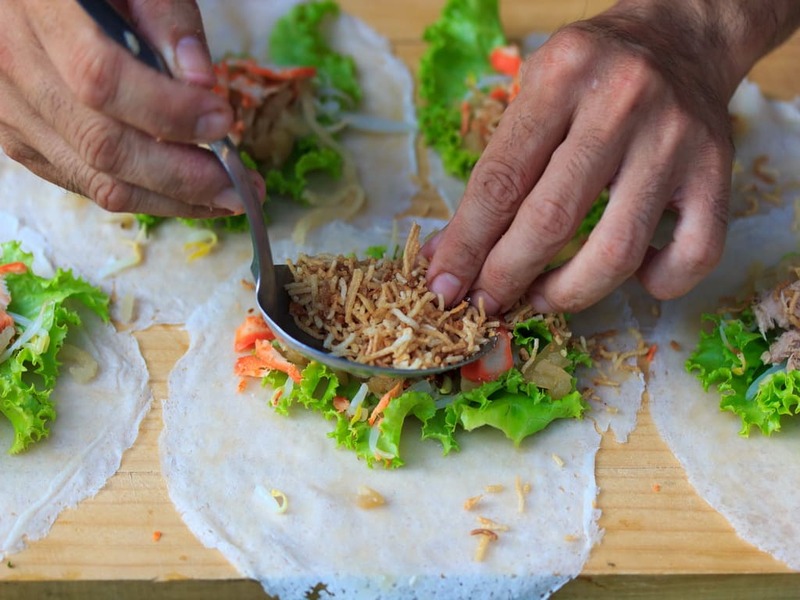 With the highly skilled chefs, you will have an interesting time to experience the daily life of Vietnamese by taking a stroll to the colorful local market and being explained about the ingredients used in Vietnamese cooking. Early morning, we travel via the new highway to Got Ferry Terminal in Haiphong City. Upon arrival at the Orchid Cruise’s lounge where we will board our luxurious vessel “Orchid”. As the Orchid makes its way to Da Chong islet, watching as the French colonial lighthouse drifts by. Savor a delicious lunch while passing via the islets of Con Vit. These amazing limestone karst formations rising dramatically from the bay. 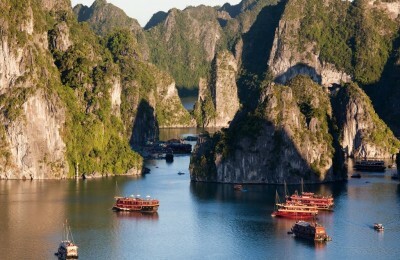 Disembark at Cat Ba Island and travel overland through striking landscape to Trung Trang Cave in Cat Ba National Park. Admire the stunning karst landscape which was carved by nature for more than 2,000 years. Return to our vessel, enjoy the magnificent sunset over the Gulf of Tonkin as we cruise to Lan Ha Bay where our ship will anchor overnight. 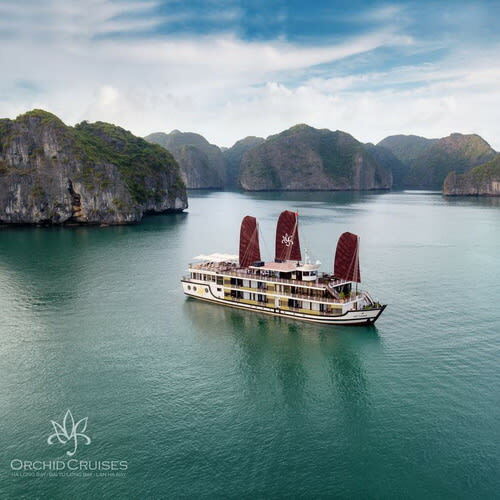 Join the Chef’s table demonstration featuring traditional Vietnamese cuisine followed by a sumptuous dinner aboard. The rest of the evening is free to relax, you may go squid fishing or watch a movie in the restaurant. Greet the day on deck with a tai chi session as the sun rises, followed by breakfast in the restaurant. Set out for an early morning kayak excursion among the towering limestone pinnacles. Back on board for brunch as we cruise back to port. Disembark and drive back to Hanoi. Our evening walking tour begins from Hanoi’s largest covered market, Dong Xuan. Breathe in the aromatic scents wafting from street hawker stalls selling everything from exotic fruit to seafood. Led by a local guide, hear stories about the ingredients and history of Hanoi’s food culture and northern Vietnamese specialties. After sampling fruit and street snacks at the market, continue with a cyclo tour to Hanoi’s Old Quarter which allows you to catch a glimpse of ancient Hanoi and learn about traditional Vietnamese architecture. The tour includes a stop at an ancient Vietnamese “long house. Then visit a local restaurant to watch the chefs at work, dine on a famous local dish of pork crepes, called banh cuon. Then take a wander down Hanoi’s atmospheric lanes of houses, shops and street stalls, stopping to sample flame-grilled meat snacks at a local barbeque stall. To add something sweet to the menu, try the local specialty of fresh fruit served in a cup with crushed ice and condensed milk. Your evening walk ends with a visit to one of Hanoi’s best-kept secrets, a tucked-away cafe with amazing views over Hoan Kiem Lake. Here you can try the local favorite, egg coffee, or perhaps a chilled beer.